Amateur boxing is the greatest form of tutorial for young fighters. 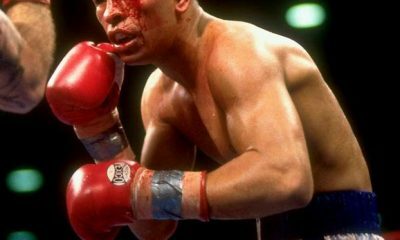 In recent history, men like Mike Tyson, Oscar de la Hoya, Shane Mosley, and Floyd Mayweather all paid their dues by grinding out impressive amateur careers. Those fighters continued their success from the amateurs and became stars in the pros. Amateur boxing is like grade school for fighters. The successful ones are taught at a young age by the most capable trainers to prepare them for the real world. Once the amateurs graduate to the pros and become champions, everybody wins. 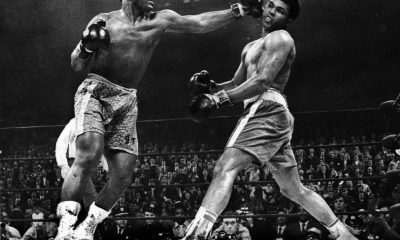 The boxers get the glory, popularity, and riches, while the trainers obtain the greatest form of achievement without a price tag: personal satisfaction. 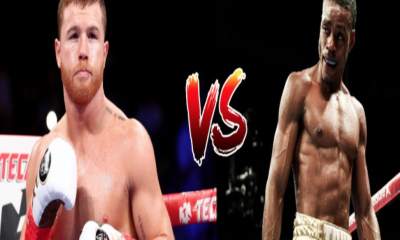 But here is the question…..
What happens when a fighter goes pro and does not perform to the level of expectations? Or better yet, what happens when an impressive amateur turns pro and hits a bump in the road during his first pro fight? Who suffers, and what are the consequences? As an amateur boxer, Stan Martyniouk was as remarkable as can be. “Stan the Man” acquired 32 amateur championships in less than seven years. Now, the 22 year old Russian stands at 5’10” tall and fights around the 130 pound weight limit. Martyniouk has built a marketing empire around his amateur success. StanMartyniouk.com is live and running and “Stan the Man” t-shirts are being printed as we speak. He comes from a strong family intertwined in boxing history. Martyniouk’s father, uncle, and grandfather all chased the dream of becoming great boxers with relative success. His uncle and grandfather fought professionally in the former Soviet Union. But now in America, Slava Martyniouk, (Stan’s father) raised his son to learn boxing in Sacramento, Ca. 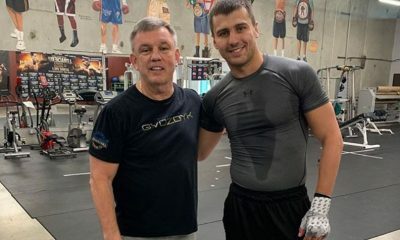 Looking for an edge to Stan’s continuous mastery of the sweet science, Slava Martyniouk asked his former trainer Mateen Saifudeen to coach his son. Mateen Saifudeen happily accepted. 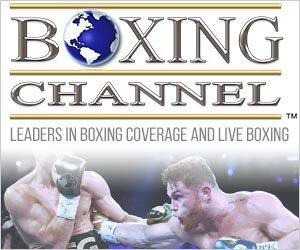 Mateen Saifudeen (formerly known as Steve Hernandez) is the head trainer and owner of the highly regarded Mateen’s Boxing Gym in Sacramento, Ca. Mateen’s Boxing Club (“Where Champions are made”) has a bold slogan and the trainer lives by his word. After three years under Mateen’s tutelage, “Stan the Man” made his mark. The news was not only good, it was great. With every Stan Martyniouk amateur victory there grew a larger dream of glory and a clearer vision of professional championship gold. Mateen was happy. Stan’s father Slava was happy, and more importantly Stan “Stan the Man” Martyniouk was happy. Now the transition to the pros…. The ultimate outcome was expected. Martyniouk defeated Robles. 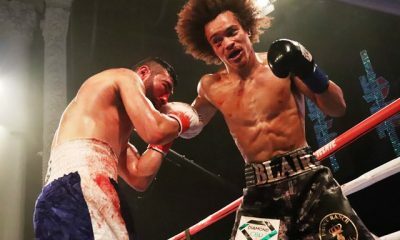 After the fight, Stan Martyniouk said, “I felt prepared coming into the fight because I had big support from my family and the people that were around me. 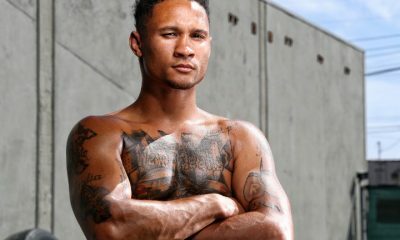 I also trained with some of the best fighters out there, like Juan Manuel Marquez and Stevie Forbes so I knew I could compete at the highest level. I am a unique because I am tall for my weight and I sit down on my shots. I also have fast hand speed and I fight from the outside. 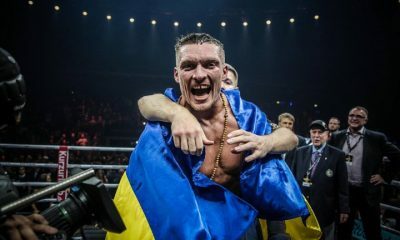 Slava Martyniouk was yelling during the fight because the so called “perennial loser” was giving Stan Martyniouk, a fighter with unlimited potential, a run for his money. The fight ended with Martyniouk eking out a close decision. Stan’s father and Mateen got into a war of words after the fight and have both decided to go their separate ways. An accomplished amateur like Stan Martyniouk needs the appropriate guidance. Besides from being trained properly, the people around him should be supportive. Not butting heads. Unlimited potential and heavy expectations can only take you so far. Stan not only faced the pressure to perform in his first fight, he also had to live up to the vision his family, his trainer, and his manager put forth for him. The irony is that Stan accomplished the ultimate goal. 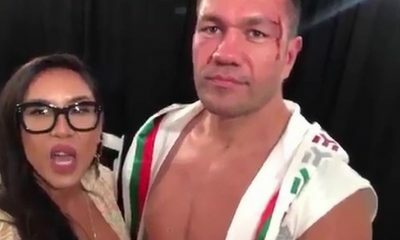 He won the fight. But he lost the structure that was built around him. Stan no longer has Mateen as his trainer because Mateen and Stan’s father did not see eye to eye. The good people in boxing do it for the love of the sport. To be honest, Stan Martyniouk, Michael Robinson, and Mateen Saifudeen seem like the good guys. But in this particular situation no one wins. Is this tragic or just another causalty to a sport that does not need more politically debilitating bad stories? The question could be answered in both ways. But the lesson has been learned. Politics ruin boxing. Everyone is happy in the amateurs but once a fighter goes pro, and money is involved, people change. The tragedy is that a successful boxing relationship has been sidetracked. But more importantly, a promising boxer like Stan Martyniouk had to suffer a setback because those that were closest to him could not see eye to eye.